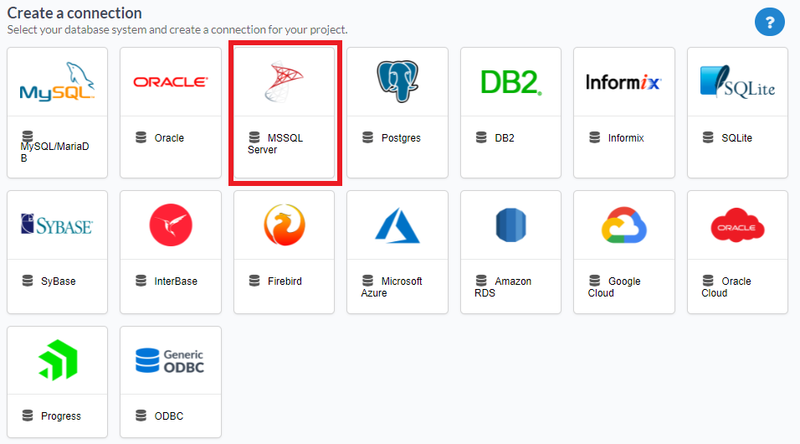 The automatic installation already comes with the MSSQL Server extension preconfigured, only needing to connect with the database. 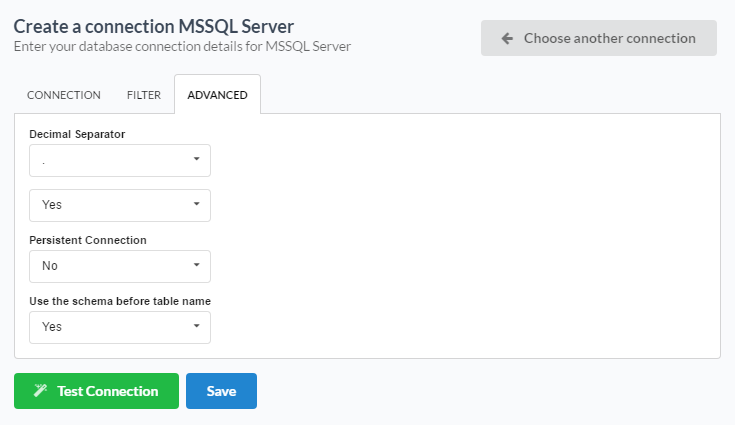 If you are using your own preconfigured environment, you will need to enable the MSSQL Server extension in PHP. If you are using a Microsoft Azure server, see more configuration details click here. The automatic installation already comes with the PDO DBLIB driver, only needing to connect with the database with ScriptCase. 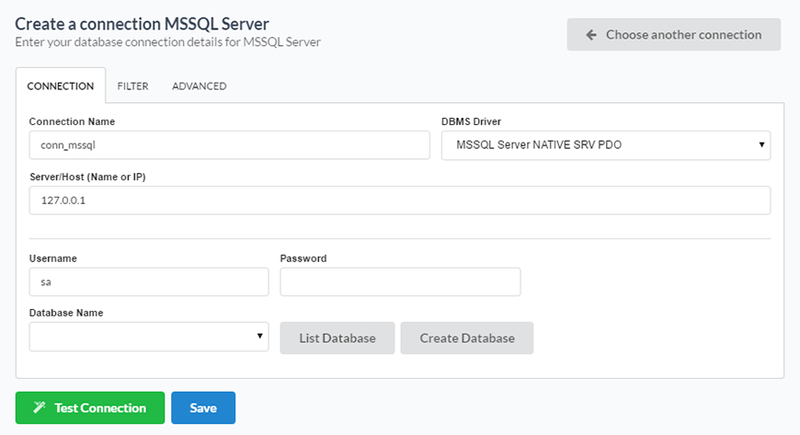 DBMS Driver : Allows you to select the drivers: Native SRV PDO, Native SRV or ODBC. Server/Host (Name or IP) : Insert the name or IP\INSTANCE of the server where the Mac OS X database is located. Unicode Converter - Select if there is going to be conversion of characters to Unicode.